Are you a teacher or homeschool parent who is looking for extra algebra practice worksheets for your students? 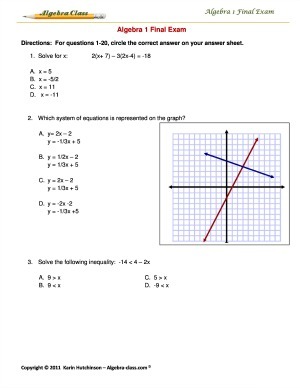 Are you looking for worksheets that make your students think and apply the Algebra skills? Would you love to have step-by-step answers for each problem so that you can quickly check their work? If you answered Yes to the above questions, then you are in luck! I sell an online Algebra 1 course that many homeschool families, teachers, and students purchase. The course includes step by step video tutorials, notes worksheets, and algebra practice worksheets. The videos are excellent for teaching students (and yes... parents too). 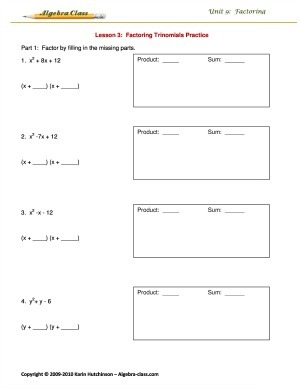 However, what if you are a teacher, who doesn't really need the videos, but would love to have the algebra practice worksheets to use with your students? Yes! I continually get this request all the time. I've compiled all of the materials from my Algebra 1 course and in this video I will take you on a quick tour of what you will get when your purchase the Algebra Class Practice Worksheets. This package is a PDF download. You can download the files instantly and keep forever on your computer! Looking for a way to help your students take organized notes that they can use as a study guide? These notes worksheets are designed to guide you through a lesson based on modeling and they allow students the opportunity to take notes in an organized fashion. I found that my students were more engaged in the lesson when they had a purpose for taking notes and had a template in which to take notes. You will have quick access to over 100 Algebra practice worksheets. You will find practice problems for every Algebra lesson. Students will have a chance to not only practice the skill, but also apply their knowledge to real world situations. Each practice worksheet ends with a "Check Your Understanding" section. This can be used as a short formative assessment at the end of each lesson to make sure that your students understand the concept. Every single problem comes with a step by step answer. If you or your students are unsure where a mistake was made, you can quickly and easily find the mistake. If you run a study session, the answer keys can be given to students to check their own work or each others work. This allows students to identify their mistakes and to learn from their mistakes. These answer keys will save you a lot of time, especially when preparing for after school study sessions. Do you need a review for your standardized tests? Or maybe you are looking for a mid-term/final exam to give to your students in order to assess their skills before moving on. These two comprehensive exams provide students with multiple choice, short answer, and extended repsonse questions. 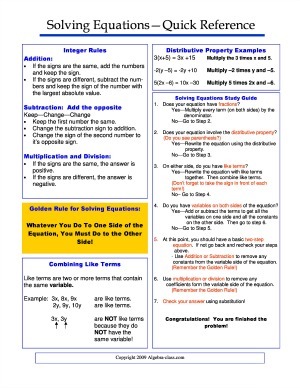 Algebra Study Guides also known as Quick Reference Guides will give your students a quick snapshot at the entire unit. These one page reference sheets can be used throughout the unit to assist students with classwork and homework. Most students find these study guides to be more helpful than their text book! No more excuses for not completing homework. 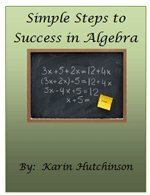 This e-book is a compilation of the Algebra 1 lessons on Algebra-class.com. 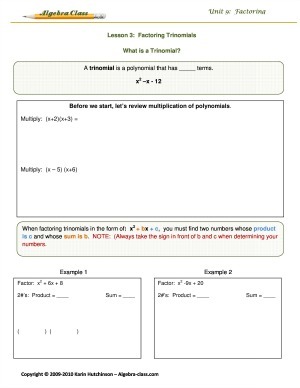 You will be able to view or print a clean copy of any Algebra 1 lesson on the website (without advertisements, navigation...) This is like having your own Algebra 1 manual to go along with the Algebra worksheets. Get this #1 seller on Algebra-class.com for FREE! Every package is backed by my 30 day guarantee. I am so confident that you will find success with Algebra Class, that I will give you 30 full days to use the workbook. If for any reason, you are not satisfied, just contact me and I will promptly refund your money! After searching through numerous Algebra 1 curricula for my home schooled daughter, I happened upon Algebra-class.com. I was thrilled with the scope and sequence of the program, as well as the accessibility it provided. The initial lessons have both challenged and encouraged my daughter in her learning journey. Thank you Karin for sharing your years of experience in a way that benefits many students and their parents! It's even a great resource for college students. This is a wonderful resource for college freshman to review and prepare for the college entrance exams. My daughter's score went from a 32 to a 46! Even high school students love it! You saved my day! With all of these practice problems, I have been able to succeed in Algebra 1 this year! I once struggled in inequalities, and now I am the best in the this topic! I am also one of the Top 10 in my class. Thanks, again for your help and the BEST website in the world! And teachers, it's useful in more ways than one! I was beginning to panic about the Middle School Praxis Test. I knew I was rusty in many areas and totally lacking in others. Karin's step-by-step lessons "task analyze" each skill and then build on successive skills to cover an entire conept. 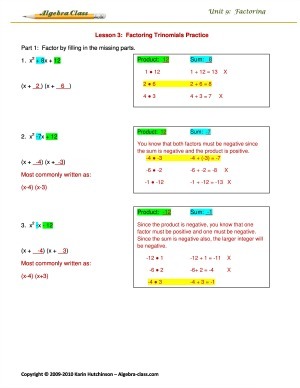 From A-Z, a very comprehensive and thorough presentation of Algebra basics. The downloadable workbooks are user friendly and provide much needed practice. I would assign an A++. Thanks! Save time and energy with this all-inclusive bundle! Will I receive the books in the mail that are shown on website? No, the books are simply a graphic. All of the materials can be downloaded and printed. Nothing will arrive in the mail. What if I have trouble downloading the material or need technical support? Simply contact me through the website and I will respond within 24 hours, usually much sooner. I can also be reached by phone at 410-937-8468.